We can learn a lot from an otter. Sea otters have got to be the most adorable friends on the planet. They actually hold hands while they're asleep so they don't drift away from each other. Sea otters will often float in groups which are called rafts. Whether there are two otters or hundreds, they all hold hands so that no otter is separated. Which is why the sea otter is the perfect symbol of friendship. 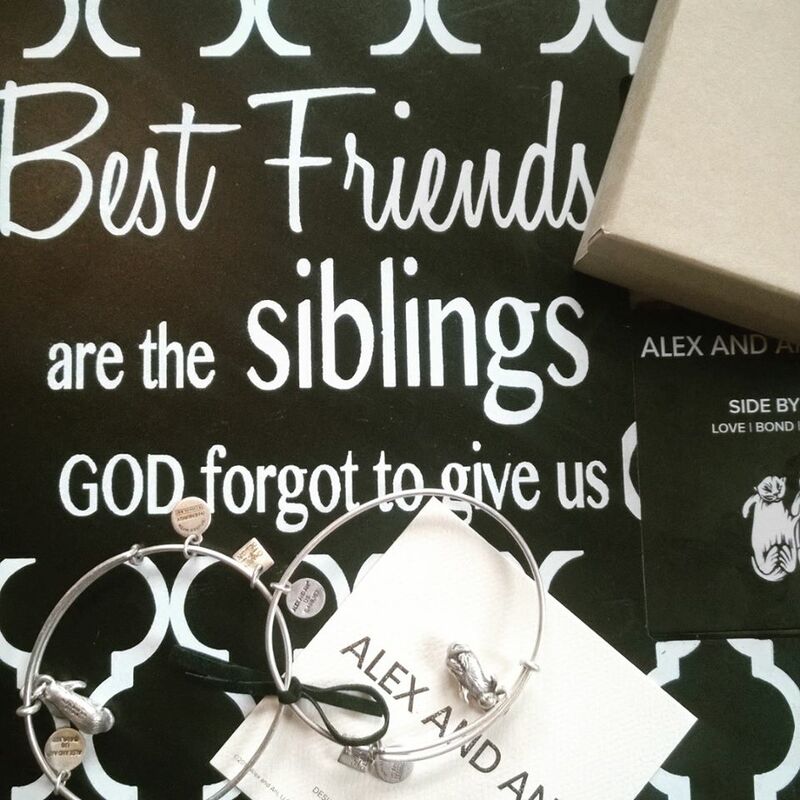 Alex and Ani have embraced the wisdom of the sea otter and produced another friendship bracelet called the "side by side". This bracelet combo comes with two bangles, each with its own otter with an outstretched arm held up waiting to meet his mate again. Much like the "best friends" broken heart, the idea is to give one bangle to your bestie to remind you both of the friendship you share. 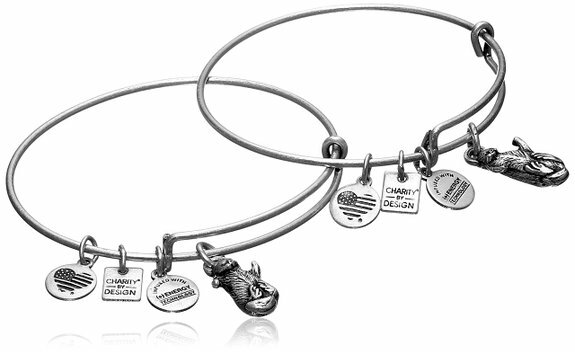 The "side by side" bangle signifies love, bond and security. In Alex and Ani's words "... otters are symbols of friendship and unity. Rafting side-by-side, otters are comforting creatures adaptable to change and transition. Bask in the glow of good times and make the best of what floats your way." It was the perfect Christmas gift from my bestie in Pennsylvania. While it's sad that we have separated our otters we are secure in the knowledge that they will be holding hands again very soon. This is my third Alex and Ani bangle. I am in love with the brand and their charity focus. I am also very excited to discover that they are now in Australia! Thanks for another wonderful gift Cathy. And thanks for another great concept Alex and Ani. Oh I adore this idea. How special. I had no idea that sometimes hundreds of otters join together. That is so cute. The otter is my new favourite animal. As for the bracelets, gorgeous. I didn't know that about otters either. Very cool. What a lovely gift, especially now knowing more about otters! I know right! Gorgeous otters. I'm just happy we can get Alex and Ani in Australia now. They do some great stuff. What a gorgeous idea and the perfect gift for a bestie! That is an awesome idea! And the perfect thing to put on a bracelet. I remember seeing a documentary on otters and thinking how cool they were. I didn't know that about otters. I think I may have read it somewhere once but promptly forgot about it again. It's etched into my brain now though. I didn't know that about sea otters, how cute!